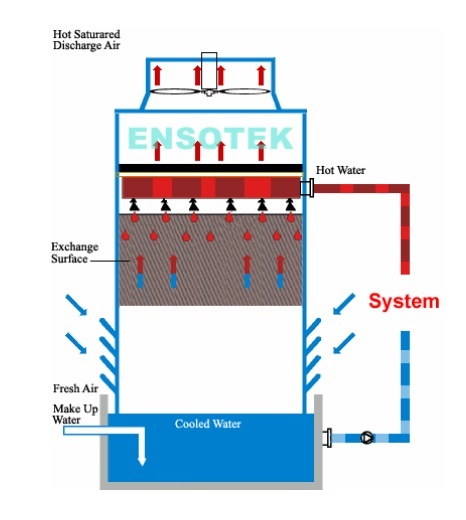 ﻿ What is Cooling Tower ? What is Cooling Tower ? Cooling Tower is a heat removing unit , cooling a part of hot water, coming from facility, by vapouring and throwing to atmosphere and returning the rest, which has reached necessary heat to facility for usage.